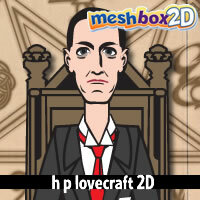 Content that can be used in Smith Micro's Anime Studio or Mojo products. 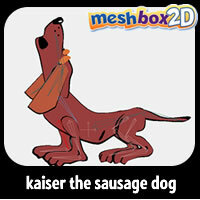 Kaiser the Sausage Dog is a new pre-animated character for Anime Studio Debut and Anime Studio Pro! What you get are eight, separate pre-animated templates of Kaiser the Sausage Dog - a wiener dog that's always putting his nose into trouble.